These 21 words in three selective lines (the police wouldn’t part with the original or a copy) indicate that the author ‘left’ of his own accord, even provides a plausible motive. But five years after Baba Ramdev’s guru, Swami Shankardev, went missing from the Divya Yog ashram in Haridwar in July 2007, the mystery behind his disappearance has not been lifted; in fact, more intrigue has unravelled after an Outlook-IBN undercover investigation. 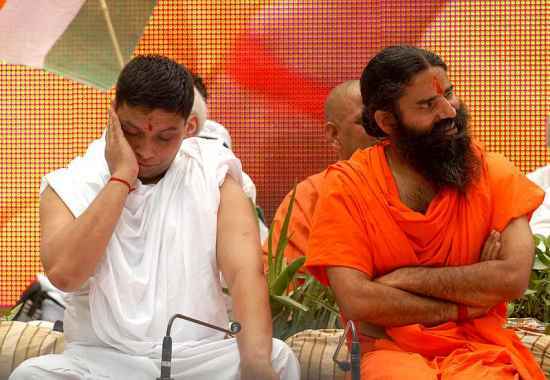 And not only because someone tampered with the date of the letter and sought to make it July 14 from July 11; or because the police was informed by Ramdev’s Man Friday, Acharya Balkrishna, only on July 16, a full two days or more after his disappearance. The investigation, which recorded conversations with six police officers (besides ashram inmates, doctors and others), reveals a strange, even shocking, indifference to the disappearance of the 78-year-old founder and helmsman of the ashram. Equally strangely, the ashram showed no interest in tracing the whereabouts of the missing guru—a man who once held veto power over the Divya Yog Trust. And stranger still, the police displayed no urgency to investigate till “something or someone” decided earlier this year that the case had to be formally closed. 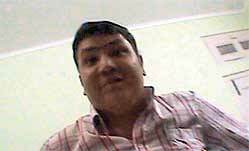 The policeman who filed the final report (FR) this April admits on camera that he was “forced” to file it. He says he was reluctant to do so because of the sensitivity of the case but was bluntly told that he would have to close the case if he valued his job. 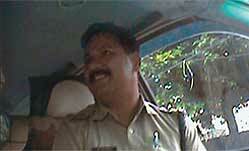 Now, who would be interested in bringing such pressure on the police and why? That too after the file had gathered dust for five years? It remains unclear what really happened in July 2007—or in the run-up to it. Ramdev, the present head, was himself out of the country at the time. Swami Shankardev’s ‘final letter’—addressed to Ramdev’s brother-in-law Yash Dev Shastri—would have people believe that the guru, who suffered from tuberculosis of the spinal cord and possibly of the lungs, “left” because he could not repay his “loans”. 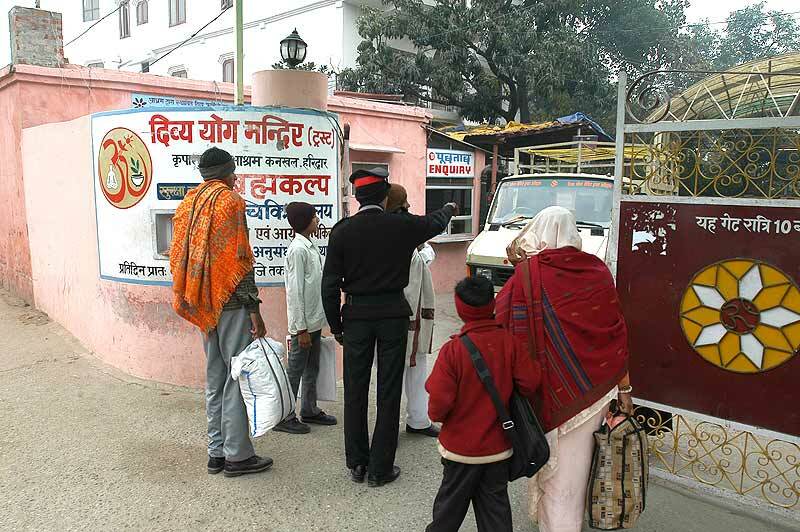 One inmate alleges that Shankardev was reduced to selling cardboard and styrofoam boxes of medicines to foot his medical bills during his last few months at the ashram. How much money could Swami Shankardev have taken as loan, when, and for what purpose? At the time of his disappearance, he held two bank accounts: one (a/c 0251000-100-100-172) at the Punjab National Bank, which had a balance of Rs 2,420, and the other at the Indian Overseas Bank (a/c 51879), which had a balance of Rs 1,881. But with the ashram expanding and thriving (its 2007 turnover was Rs 50 crore), why would he find it difficult to repay any loan? What is more, the people to whom he ostensibly owed money were also inmates of the ashram and hardly cash rich. 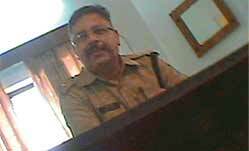 Shankardev’s accounts held a paltry Rs 4,000, but he was an authorised signatory to the Rs 50-cr trust’s bank accounts. Strangely, the police seem to have no clue about most things concerning the case—about how much money the missing guru owed, whether the guru is merely missing or whether he committed suicide or was eliminated. Some of the investigating officers have been candid in confessing on record that a proper investigation is carried out only when they are prodded into action. In this case, neither the senior officers nor the complainant evinced much interest in tracking the missing guru. So virtually no investigation was done. “Hum log kaam, sahi bataoon, toh tabhi karte hain jab pressure hota hai...hamare upar toh koi aisa pressure thha bhi nahin! Maine bahut zyada kaam isme, frankly, kiya bhi nahin (Frankly, I didn’t do much on this case because there was no pressure of any kind),” said an investigating officer on camera. Surprisingly, Baba Ramdev did not meet the investigators even once regarding the disappearance of his guru, the man who transferred the Divya Yog ashram to him and made him chairman. So, in April 2012, the police closed the case, having failed to make any headway. So what’s new? Thousands of Indians disappear every year, never to be found. But then Shankardev was not just another old man. He was one of the four trustees and had the powers to veto decisions taken by the trust. While his two personal bank accounts had a combined balance of a paltry four thousand rupees, he was an authorised signatory and could operate the trust’s bank accounts. And yet, his disappearance did not create much of a flutter. The ashram showed little urgency in trying to trace its own founder, who had voluntarily given up the reins of the ashram in 1995 to his far more worldly-wise and nationally known disciple, Baba Ramdev. Investigations conducted by the police were perfunctory. Explains SI R.B. Chamola, a member of the investigating team, “Nobody took any interest in this case; I do not remember anyone ever asking about the progress of the investigation.” Chamola, incidentally, is the same man who led a special Delhi Police team which arrested Sher Singh Rana, former dacoit queen Phoolan Devi’s killer, from Calcutta after he had escaped from Tihar—a “competent policeman” with 52 encounters under his belt. Earlier this year, pressure was finally exerted to get the case closed. 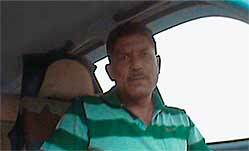 SI Surendra Bisht, who filed the FR in April 2012, claims he had initially refused, on the plea that it was a sensitive case and required supervision of officers holding superior positions. “Main toh bas SI hi hoon (I am just an SI),” he had protested. 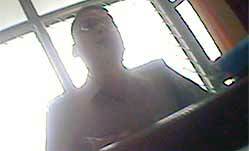 But he was bluntly told that he would have to pay a heavy price if he failed to comply with the order. “Kyun, naukri nahin karni hai kya? (Don’t you want to continue in service? )” he was asked. Not surprisingly, he agreed to close the case (“Maine kaha theek hai, theek hai”). The case should have been treated far more seriously from the beginning, he reflected, saying far greater urgency was on display while closing the case. 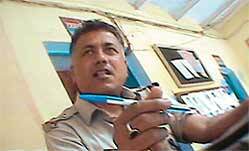 Pradeep Chauhan, investigating officer of the case in 2011, when contacted, ruled out any possibility of foul play. But he conceded that in 2007 Ramdev was well respected and his stars were in the ascendant. He was not embroiled in any controversy or dispute either. “It is possible that because of his aura, nobody suspected any foul play,” he says. Documents related to the investigation indicate that Shankardev’s final letter was sent for forensic examination along with several samples of the old man’s writing. The report of the forensic lab at Dehradun confirmed that the handwriting in the letter matched that of the one in the samples. But the date on the letter had been tampered with and a different date had been overwritten with the help of a different pen and with different ink. First person reports raise sufficient doubts to merit a reinvestigation. By all accounts, Shankardev was a well-meaning person and was not driven by worldly ambitions of expanding his empire. He had handed over the reins of the ashram at the age of 66 to Ramdev. The most damning indictment, though, comes from a former driver at the ashram, Rahul. The old man in later years was treated with utter disdain, he claims. The ashram, which was rolling in money and boasted of a fleet of cars, would refuse to provide a vehicle and ask him to take a rickshaw instead when he travelled. The old man would often lament his decision to cede control of the ashram to others and speak to people sympathetic to him. On such occasions, he would often be beaten up by the bouncers (“Andar ke jo worker hain, woh batate thhe ki aaj Maharajji pe bajaya hai”). Rahul also says on camera that the old man was more fond of Karamveer. But whenever he was caught speaking to the former inmate over the phone, he would be locked up and confined by way of punishment. 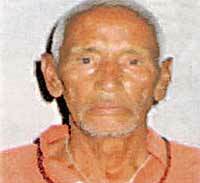 Shankardev, he claims, was suffering from several ailments but was not treated properly. Investigation by the police also found that Shankardev had not been to see his doctor for at least a year-and-a-half before he disappeared, though he suffered from tuberculosis of the lungs as well as the spinal cord. But Dr Kamal Nayan Gambhir claimed he was suffering from spinal tuberculosis alone and had been to see him even on the day he disappeared. Which of the two claims can be deemed credible and why would the police ‘misquote’ the doctor? A shoddy investigation, police indifference and inaction followed by a sudden burst of activity to put a lid on the case, have raised many eyebrows in this hills district. A dark shadow still hangs over an old man’s disappearance.